These photos were taken Sunday afternoon at the Brewtopia beer festival in Hermosa Beach’s Alta House, formerly known as Ocean Bar, which is the upstairs area of Abigaile and The Brewery at Abigaile. 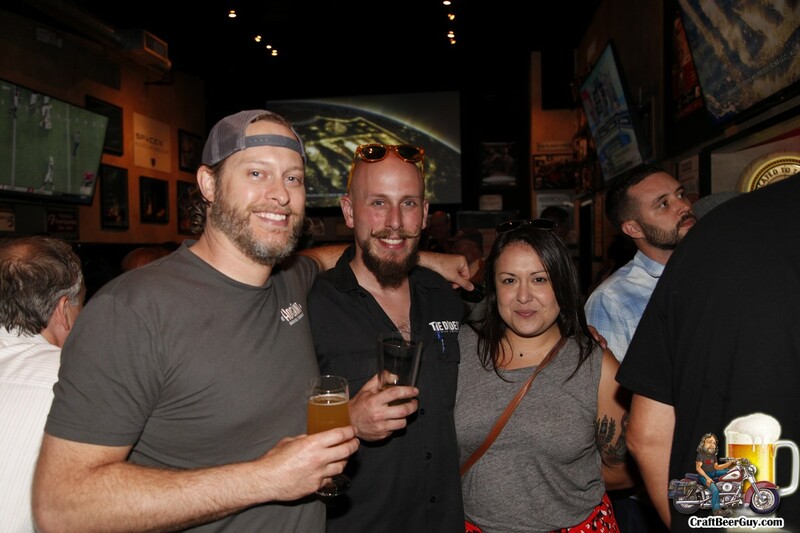 The event featured craft beers and ciders from The Brewery at Abigaile, 101 Cider House, Angel City, Zymurgy Brew Works, Firestone Walker, and Santa Monica Brew Works. Admission to the event included unlimited pours from the above mentioned breweries and access to a special brunch menu. These photos were taken Friday evening at Alta House, formerly known as Ocean Bar, which is the upstairs area of Abigaile and The Brewery at Abigaile. The event was hosted to introduce The Brewery at Abigaile’s new brewer, Josh McCombs. I am happy to formally announce that Flights Beer Bar and CraftBeerGuy.com will be holding their 3rd Annual South Bay Tap Takeover on September 7, 2017; this time featuring 19 of the best craft breweries the South Bay has to offer. These photos are from Saturday at the LA Brewers Kickoff of Los Angeles Beer Week 9 (LABW9), which was held at the Los Angeles Center Studios in downtown Los Angeles. This outstanding event featured close to 60 Los Angeles craft breweries along with 30 out of town craft brewers and about 10 food trucks. In addition to the beer and food there were games, live music and plenty of water and shade for those seeking to escape the high air temperature. HopSaint Brewing Company Now Soon! Well, there are still a couple of days left in 2015 but I think it is safe to write my year-end review of 2015. To be honest, there has been so much activity in the craft beer world this past year that I would not be surprised to have something new pop up before Thursday night. (So, this is taking me a while to write, and yes, there have been updates since I started). There were several beer buyouts that seemed to dominate most other craft beer sites, but the craft world in my immediate domain only seemed to increase. Yeah, Golden Road got bought, but I only went there for special events and I guess that means there will be fewer of them there in the future. In the meantime, the reach of this site seems to be increasing. In the beginning people pretty much pigeonholed this site as covering the South Bay craft beer scene only. This year I covered various local beer events from the Antelope Valley to Orange County. Attendees have come up asking if I am now covering the west side, or wherever we might be. I guess the answer is yes; and I will expand my area as long as it is requested. These photos are from the December gathering of the Business & Beer networking group which met at The Brewery at Abigaile in Hermosa Beach. 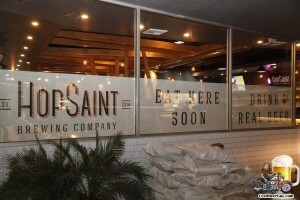 It was Business & Beer’s first return to the Hermosa Beach brewpub since they brought on the new brewer, Paul Papantonio. The last time I visited Abigaile in mid-October, Papantonio had only one brew under his belt with his new brewing system; a very nice black IPA. As of last night he had added three more brews to his portfolio, including a Vienna lager, a brown ale and an IPA. Everyone in our group seemed to enjoy the brews, with special praise given to the barrel-aged Sugar Daddy that I am sure has been aging since Brian Brewer’s days. These photos are from the last Business & Beer gathering which was held Thursday evening at Strand Brewing Company’s new tasting room located on Dominguez Street. There was a pretty nice group including several of our charter members as well as a couple first timers. Since Strand just opened the new location last month, the production brewery was a little light on choices, but their 24th Street Pale Ale and Atticus IPA have both been brewed on the new system and were tasting delicious. To make up for the lack of their flagship beers, they did have bottles of their Batch 100 Stout aged in Masterson’s Rye whiskey barrels; it was pretty darn good. The Barley Hops Grill was there for people that wanted food to go along with their beer. On Sunday afternoon, Abigaile Restaurant & Ocean Bar in Hermosa Beach continued their series of Brewtopia beer festivals, this time combining it with Oktoberfest since it is October. The event featured a wide selection of beer from such breweries as Stone, Black Market, New Belgium, Great Divide, Paulaner, AleSmith, Green Flash and The Bruery. Also included in the price of admission was all you could eat pretzels, sauerkraut and brats, and burgers. There was live entertainment provided by Mark Righteous and Jason Juices. After a couple months of weather that was about as unnatural for this area as it comes, we actually had a nice day at the beach; not too hot and not too humid, it was just about perfect. Typically these mini-festivals at Abigaile have been packed but yesterday’s event was anything but which meant plenty for everyone and no lines. I cannot really explain the low turnout but those that did come out had a great time.